U bevindt zich hier: Home / News / RHINE-ALPINE CORRIDOR CONFERENCE 2018 – Registration Now Open! 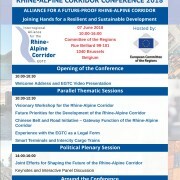 RHINE-ALPINE CORRIDOR CONFERENCE 2018 – Registration Now Open! 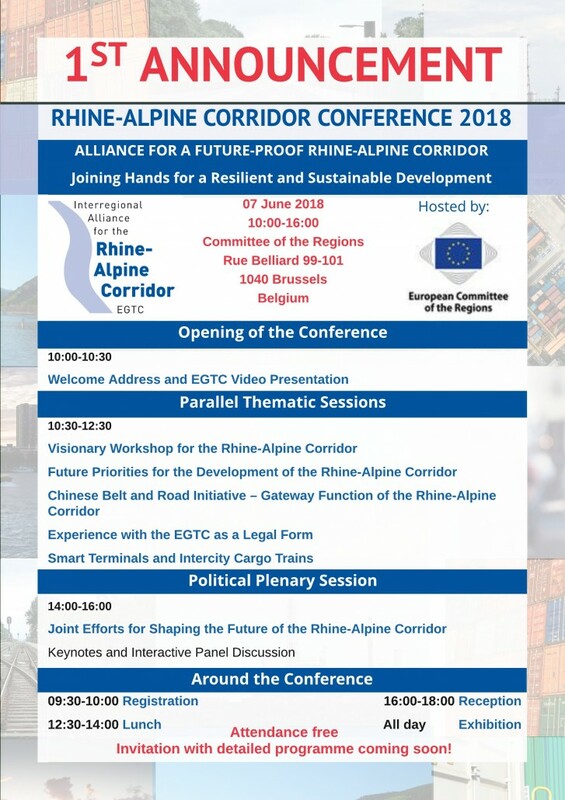 The Interregional Alliance for the Rhine-Alpine Corridor EGTC invites you to the Rhine-Alpine Corridor Conference 2018 on 7 June 2018 in Brussels! Under the theme “Alliance for a Future-proof Rhine-Alpine Corridor – Joining Hands for a Resilient and Sustainable Development”, our Interregional Alliance presents a varied programme: During the conference, we and our expert speakers focus on current corridor issues, give insights on how to address these topics and explore new visions for the future development of our corridor. Thematic workshops in the morning are followed by a political plenary session in the afternoon with an interactive panel discussion. We are proud to announce the European TEN-T Coordinator for the Rhine-Alpine Corridor as our keynote speaker. Registration is now open – please register until 29 May 2018!